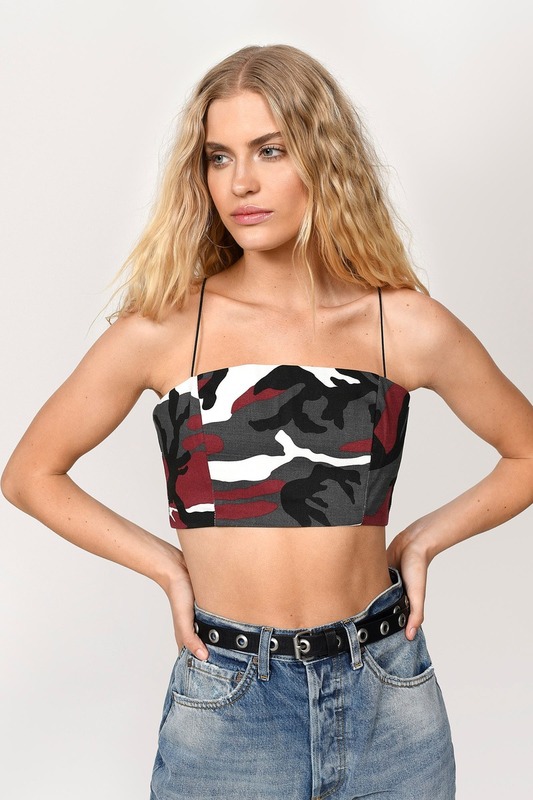 Check out Tobi's Take Action Camo Thing Strap Crop Top Stay cool in camo in the Take Action red Camo Thing Strap Crop Top. This cute camo shirt features cami straps, camo print, and a convenient back zipper. 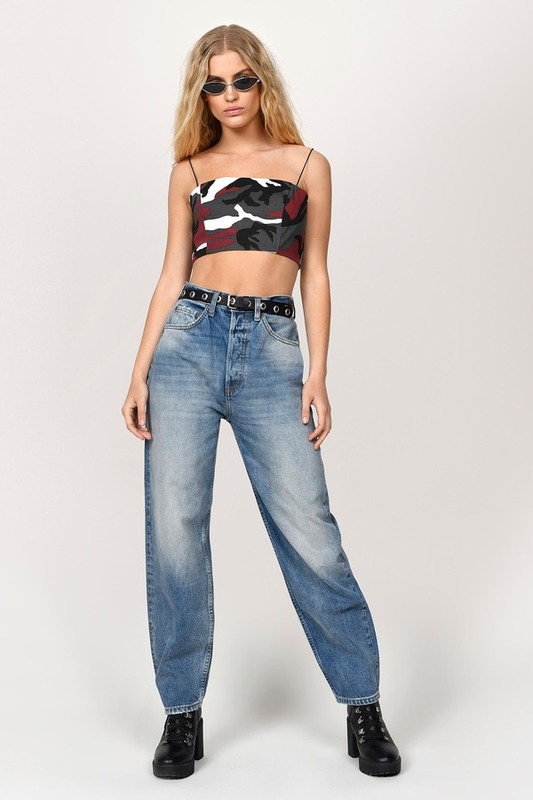 This camo cami crop top will look superb with its match, the Craved In Camo Cargo Skirt. Stay cool in camo in the Take Action red Camo Thing Strap Crop Top. This cute camo shirt features cami straps, camo print, and a convenient back zipper. This camo cami crop top will look superb with its match, the Craved In Camo Cargo Skirt. 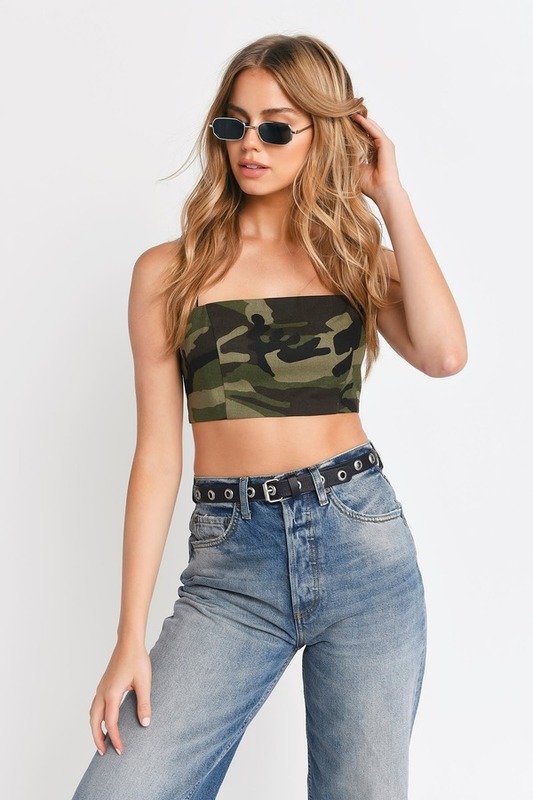 Stay cool in camo in the Take Action green Camo Thing Strap Crop Top. This cute camo shirt features cami straps, camo print, and a convenient back zipper. This camo cami crop top will look superb with its match, the Craved In Camo Cargo Skirt. Red Multi and Olive Multi modeled on a size Small.